SIMS Interventions allows schools to set up and then allocate pupils to costed interventions. The effectiveness of interventions can be measured using objectives defined by the school and although hard-edged assessment data can be used, so can more subjective and ‘softer’ interpretations of progress. Here’s a link to a video from Tony Lockwood at Capita explainign how to set up interventions. Remember that SIMS Interventions is a free module from Capita and will be available to primary and secondary schools from the Spring 2017 release. 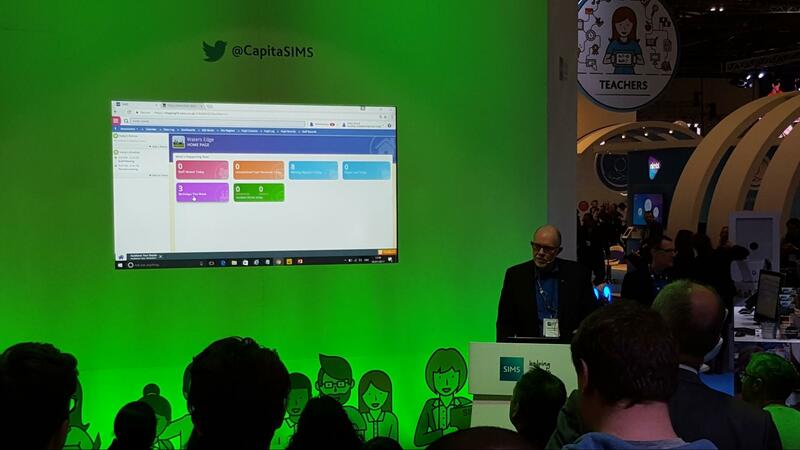 Available from April 2017, these two apps (which now join with with the existing SIMS Teacher App) got a big launch from Capita. The benefits are clearr: giving students and parents secure access to data that they need in a mobile-friendly format and in a timely manner. The apps look well designed, simple to use and, because it uses the new SIMS single login, requires minimal administration by the school. Access to timetable, attendance data and individual pupil reports will be in place from launch, although access to termly assessment data is only planned for later in the year. Sims are planning a big launch for the new version of Sims when the first few modules appear in 2017. 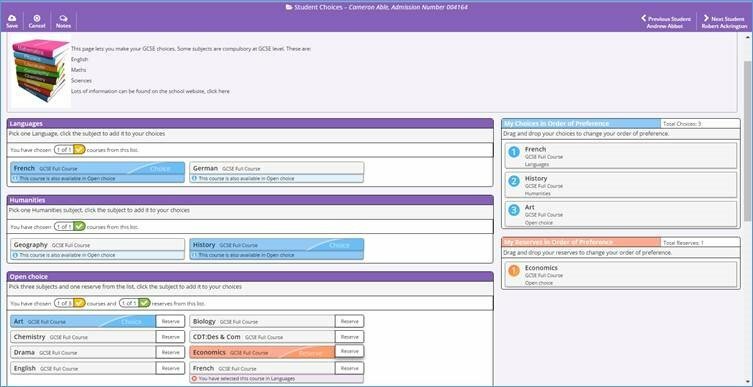 One of the first new modules to launch is SIMS Options – so we can begin to guess how the new SIMS will look and feel. First impressions are certainly good. The user interface (all web browser-based, of course) looks well designed. Not being an expert in Sims Options I can’t really comment but the new system makes a play of allowing parents and pupils to choose their options over the web. SIMS Options enables students and parents to access information on the subjects from home and make their selection online. Their choices are fed straight back to the SIMS school’s management information system for processing.So SIMS Options saves staff countless hours collating and sorting every individual options submission. Graham Cooper referred to a design concept he called Predictive Analytics which he hopes will be incorporated into the new version of SIMS. It’s the concept that Amazon uses to guess what other products you might want to buy (‘people who purchased this product also purchased these products’). One practical implementation if this in Sims might be the ability to identify similar pupils to the pupil on screen. So if you are searching for pupils who have an EAL status, SIMS might highlight similar pupils in the same year group. We’ll see if this makes it to the release version. I hope so. The KS4 resources have gone from strength to strength in the last few months. At the start of 2016 we needed a strong commitment to keep up with this rapidly changing area and Capita have delivered. We now have a suite of reports that produce (for no extra charge) almost all the key performance measures that other systems provide for a cost. Even as the new version of assessment manager is being developed, it was good to see the existing product being improved. In case you hadn’t heard, there’s a new KS4 Inspection Dashboard report for secondary schools, and a KS1 to KS2 report for primary schools. See www.davidpott.com for more details. There’s a new offering for Multi Academy Trusts who need a top level view of their schools’ performance. SIMS Schoolview is a web-based dashboard that talks to each of the SIMS databases in a trust and pulls together a set of customisable graphs to give senior leaders the information they need. The concept is simple but powerful. Individual schools don’t need to change their internal SIMS systems. Instead, each school’s data is ‘mapped’ into SchoolView to standardise the data. For example, different schools often use different behaviour codes. But each different code can be mapped to the standard codes used by the MAT. The first release will not feature assessment data, but this is under development and is due during 2017. The costs looked very reasonable to me, with small MATs being able to purchase the software for under £600pa. One head teacher said to me: I spend more than that on coffee! More information on Capita’s website here. A good BETT for Capita SIMS, continuing the sensible trend to ‘slightly under-promise and then over-deliver’. 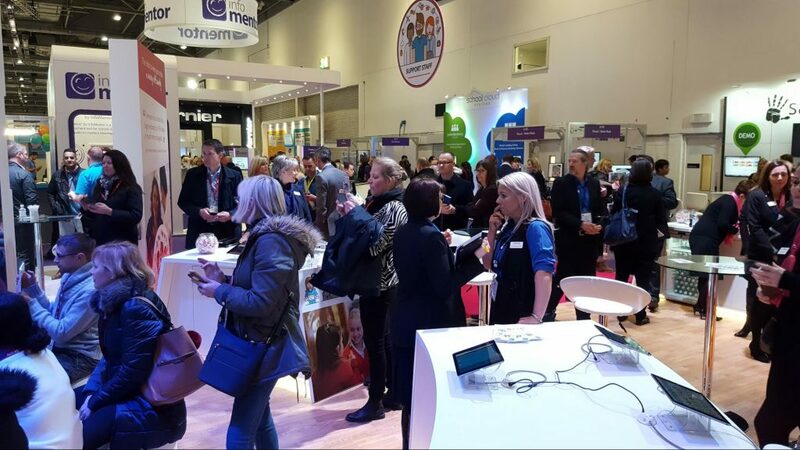 The most exciting developments will clearly come later this year and into next year, but Capita SIMS haven’t let up the pace with the current product set. Finally, an advert for my services. If you need help with training on any aspect of SIMS Assessment you can contact me here. I also offer an online assessment manager course for just £200 + VAT – it covers everything you need to create your own key stage systems from the early years to GCSE and A Level.